The city hotel, Mandarin Orchard Singapore was awarded Best City Hotel in Singapore which follows consecutive wins for the Meritus Hotels & Resorts venue over the past five years. 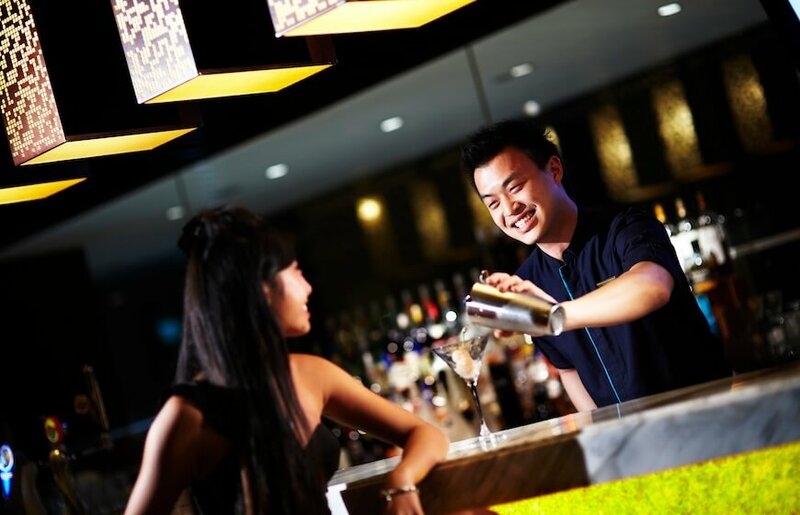 This city hotel prides itself on delivering a world-class accommodation experience to its guests and places great emphasis on Asian grace, warmth and care. 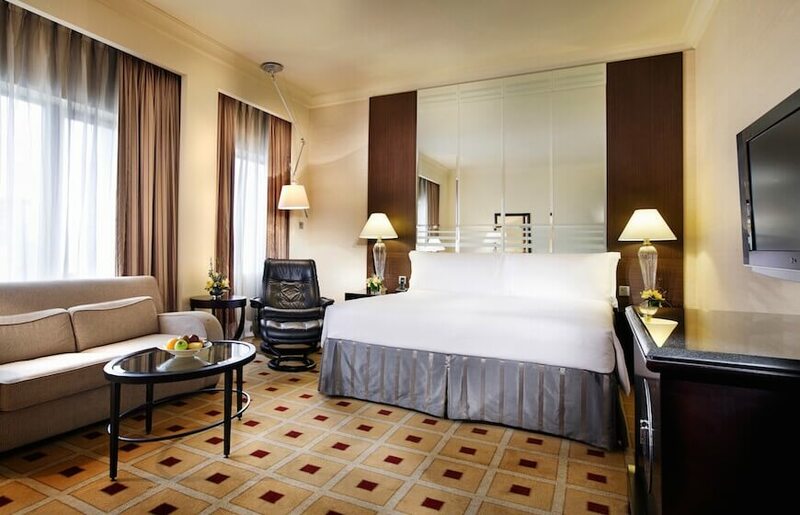 As one of the best hotels in Singapore, the Mandarin Orchard also caters to the needs of the business traveler who can journey here with ease from Changi Airport and the Central Business District. This year this city hotel included new features into its offerings for guests such as a complimentary movie platform. 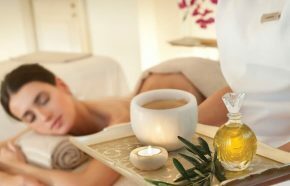 Business travelers for example, can now relax after a long day in the privacy of their rooms watching any of the latest Hollywood movies. 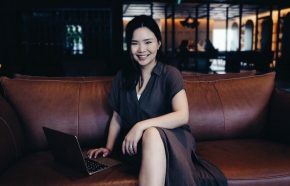 They can also make use of an in-room handy smartphone which offers free local and international calls to 15 countries – plus 4G data island-wide. 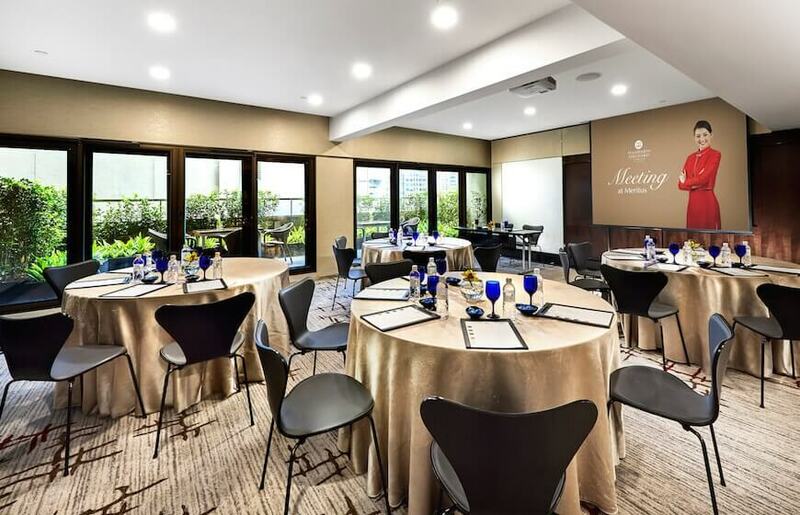 Other business amenities which makes this venue one of the best hotels in Singapore include 30,000 feet of event space, whilst an events and meetings team of specialists are at hand to make any conference and event bookings a success. Renovated meeting rooms at this city hotel include state-of-the-art AV equipment with cozy break spaces outside. For business travelers who have time to spare, there’s a sun-lit outdoor tennis court and a peaceful, outdoor swimming pool. 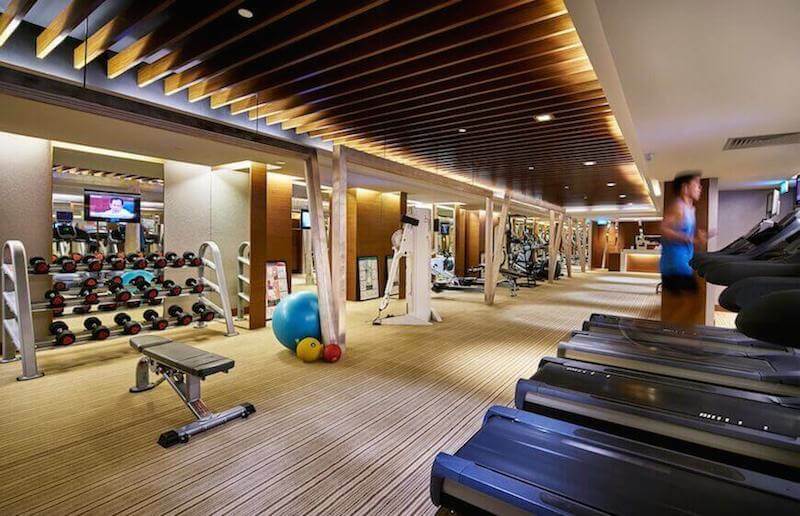 For further downtime at this city hotel, a fully equipped fitness center has treadmills, spin bikes, machines weights and hand weights, plus a range of other well-maintained equipment suitable for any fitness levels. 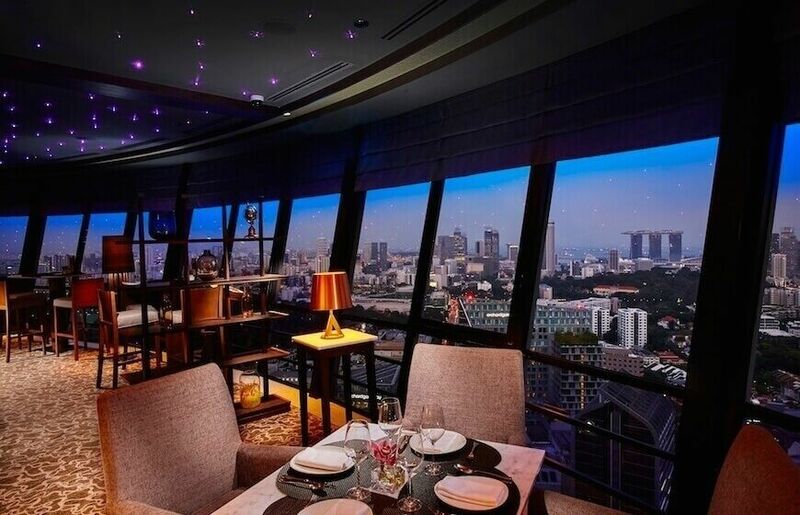 Otherwise, this city hotel is famed for its glamorous views, namely the 360-degree skyline vista from the exclusive Meritus Club Lounge @ Top of the M.
This also houses the tallest restaurant in Singapore. Personalized butler services, breakfast and evening cocktails are also available here for Meritus Club Lounge members. Located conveniently on Orchard Road – which is home to a plethora of high end boutiques and department stores – and this affordable city hotel first opened its doors in 1971 as a single 36-storey block. Two years later and a second block opened when the hotel became a prestigious landmark for the bustling Orchard Road area and one of the best hotels in Singapore. In 2009 a renovation included the construction of the shopping arcade, Mandarin Gallery and today 1077 comfortable and modern guest rooms all offer free WiFi and state of the art services. 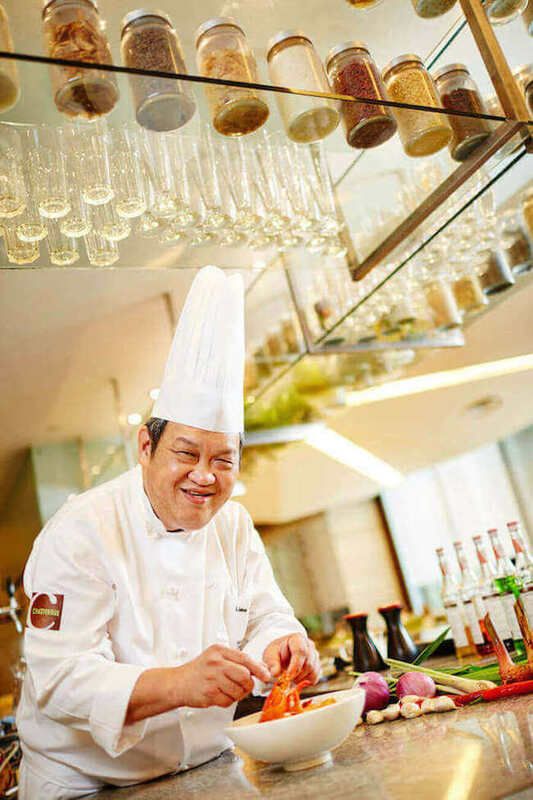 Dining includes the Michelin rated restaurant, Shisen Hansen by Chen Kentaro which serves Szechwan specialities and the award-winning Chatterbox which also serves a buffet breakfast. Chatterbox is known the world over for its award winning Mandarin Chicken Rice. Other signature favorites include the Chatterbox Lobster Laksa and King Prawn Fried Hokkien Noodles. Chatterbox earned the Hall of Fame distinction as a Heritage Brand by Singapore Prestige Brand Award. The menu at Shisen Hansen is high-end Chinese food and includes the seven basic flavors of Szechwan cuisine: sour, pungent, hot, sweet, bitter, aromatic and salty. Dishes here are favorites in the region such as Chen’s Mapo Doufu, Chen’s Original Spicy Noodle Soup, Stewed Fish Fillet in Spicy Szechwan Chilli Pepper, and Deep-fried Chicken in Spicy Szechwan Chilli Pepper. For businesswomen on the go, Coffee & Crust is a cozy cafe located on level 5 at the hotel. This cafe serves delicious cakes and traditional pastries alongside coffee and tea and is also perfect for low key business meetings or intimate catch-up sessions. Bar on 5 also has al fresco seating with views of Orchard Road. 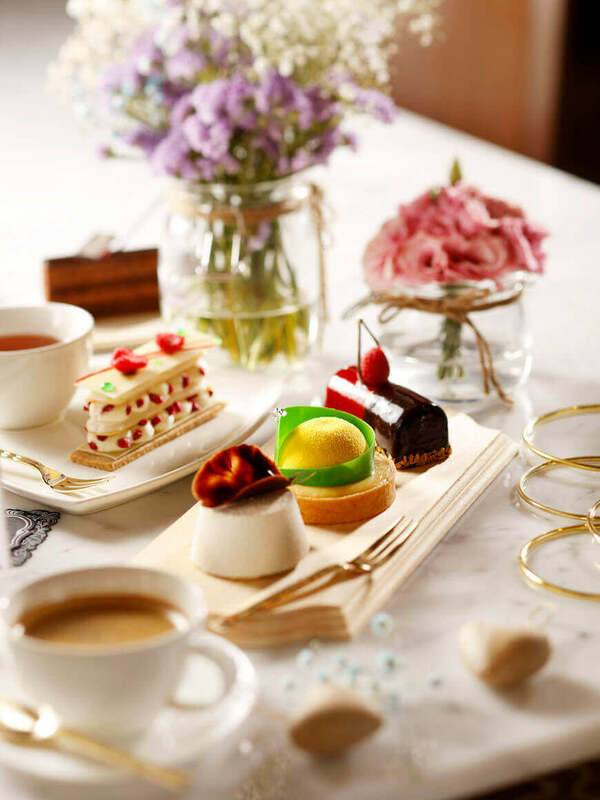 Photography courtesy of Mandarin Orchard Singapore and Meritus Hotels & Resorts.